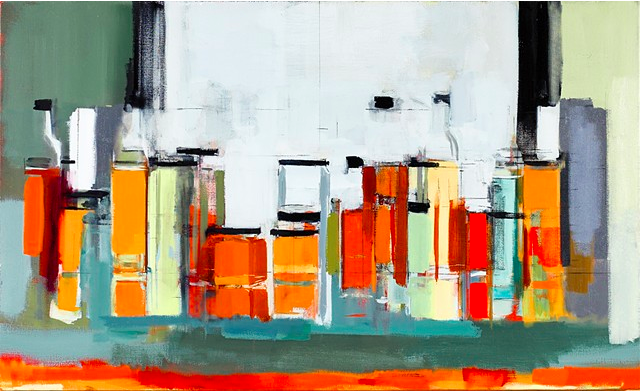 Peri Schwartz likes to paint bottles—not the curvaceous, off-white, mysterious kind painted by Giorgio Morandi, but the straight-edged, clear glass kind that reveals the solid bright colors of the liquid within—predominantly red, orange and yellow. She began her career with confrontational self-portraits back in the 1970s, and she seems to be continuing that project without the outer anatomy. Isn’t each human body an assembly of liquid filled containers? Schwartz’s rectangular containers are tightly ordered, but still there’s a restless quality suggesting that she’s never quite satisfied with them. 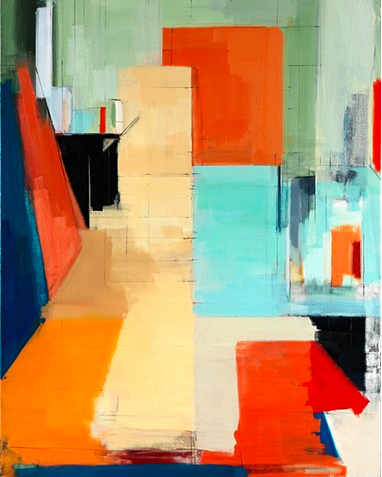 Through February 28 at Perimeter Gallery, 210 West Superior.